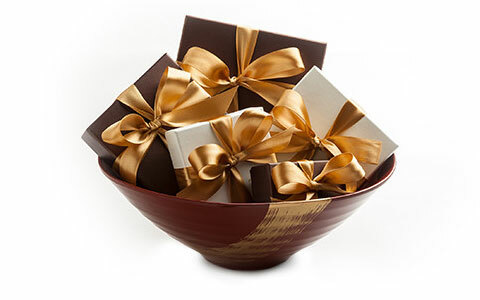 Beautiful, elegant and delicious, our gifts are the sweetest way to say "thank you" to your clients and customers, employees and dedicated vendors. 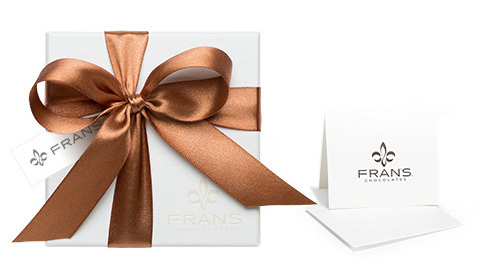 From unique leather and lacquer gift boxes and bowls to our award-winning chocolates inside, a gift from Fran’s is a gift that will always be treasured and remembered. 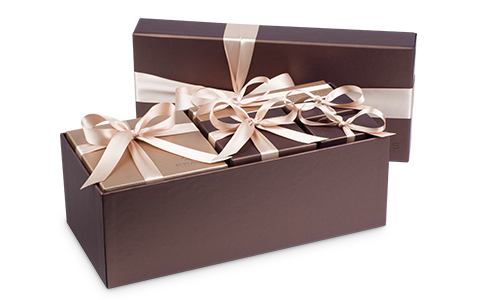 We are experts at handling complex shipping needs simply and efficiently, whether you are sending all your gifts to one location or to many different addresses. Based on the information you share on our order form, we will create a quote for you. Upon approval, we will place your order and create your business account for easy ordering in the future. Call us at 844.435.1192 or email us any time to receive a quote or answers to questions. 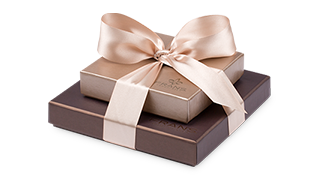 Use our beautiful ivory gift enclosures and envelopes, to include a personalized message to each gift recipient. We offer satin ribbons in a rich variety of colors. 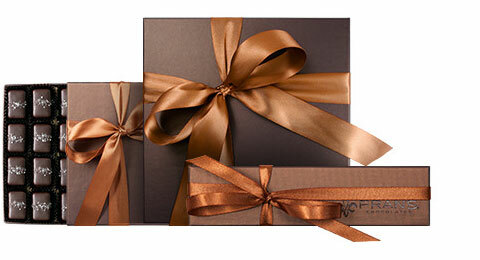 Personalize your box with the right color for your company. Please allow up to 4 weeks for your custom colors. 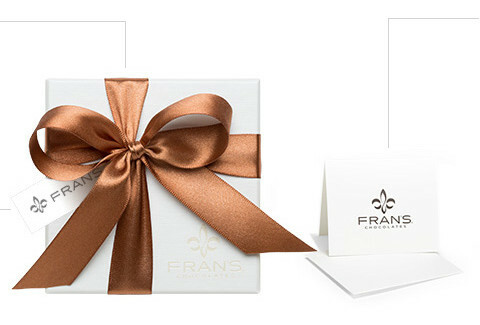 Provide us with your logo hang tags, and we'll hand-tie them to each box. 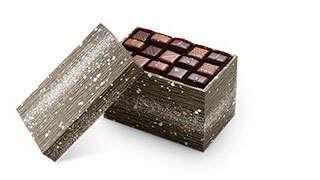 Place your order whenever it is convenient for you, and we'll ship it later with our freshest chocolates. To ensure we have enough time to hand-make and hand-pack your order, please allow up to 14 days for orders shipping in November and December. Order more and save more. Volume discounts apply to orders placed January 1 through November 20. Please note that discounts are not available in December. 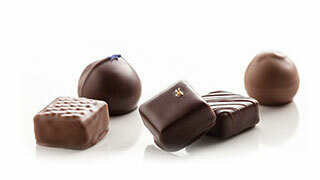 Our chocolates are made fresh with the finest ingredients, including local, organic cream and butter. 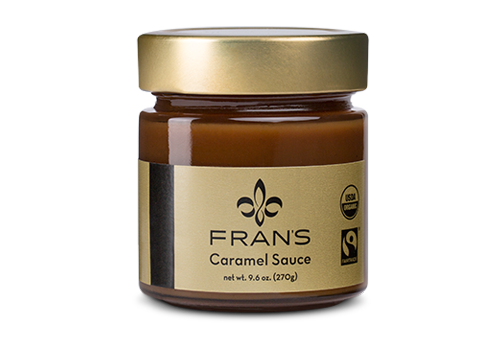 To fully appreciate their quality, please enjoy our truffles within 10 days, and our caramels and nuts within 4 weeks of delivery. Store in a cool, dry place at 64°- 68° F.
We are honored to handle your business gifting needs. Call us at 844.435.1192 to place your order or to open a business account that lets you enjoy faster checkout, automatic volume discounts when eligible, and simple shipping to multiple addresses.